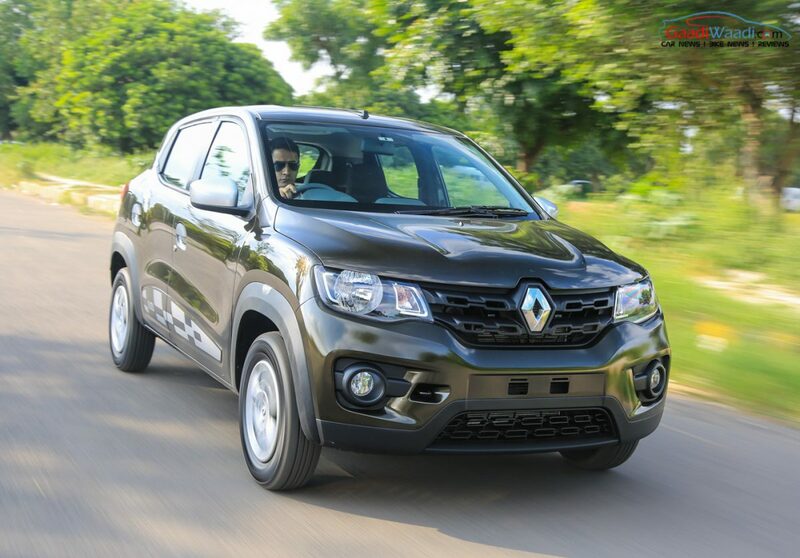 Renault Kwid 1.0L (1000cc) Review : The Renault Kwid’s success in the domestic market since launching was just astounding with unbelievable sales numbers. 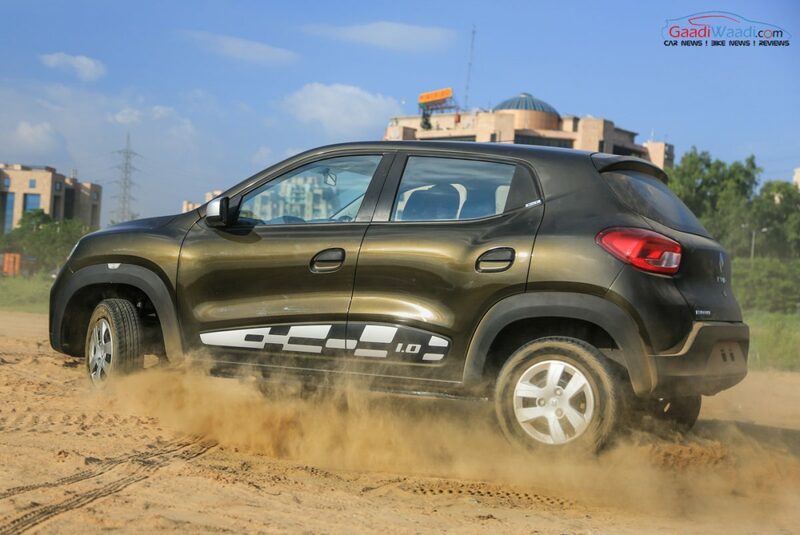 If I told anyone that the Kwid would rise above shores as a Maruti-beater before its market release, I would have been criticised by the majority of naysayers but now few would argue against its march on the victory lane. On the styling department, it is as similar to the standard hatchback but with a change to the power source. 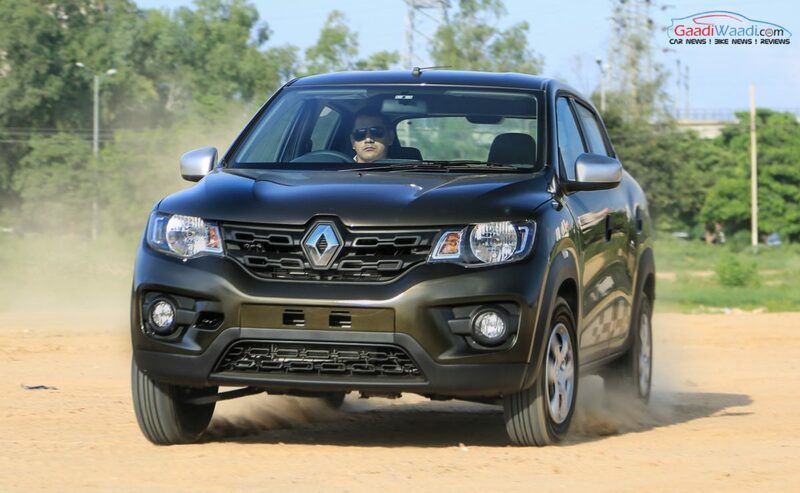 Renault opted to go with the more powerful 999cc petrol engine by ousting the 799 cc mill and consolidated its position in the volume gaining entry-level space. 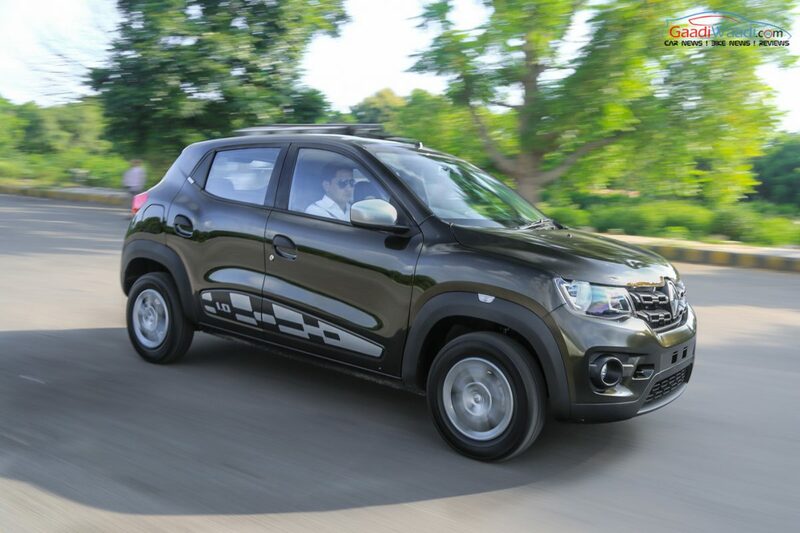 It is pitted squarely against the Maruti Suzuki Alto K10 and the Hyundai 1.0-litre. 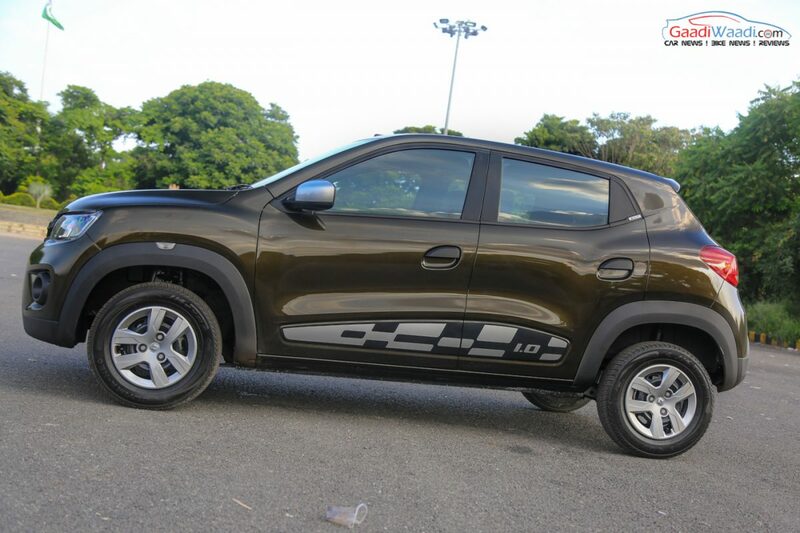 No major design modifications have been incorporated in the Kwid 1.0-litre as the only cosmetic changes include silver finished Outside Rear View Mirrors and chequered-flag themed body graphics. Besides those subtle additions, the rest of the car continues to be identical with the highlighting SUV-esque silhouette. We can’t help but admire the flared wheel arches, body cladding and quirky bonnet as so much goes on in the small space given for the little hatchback. 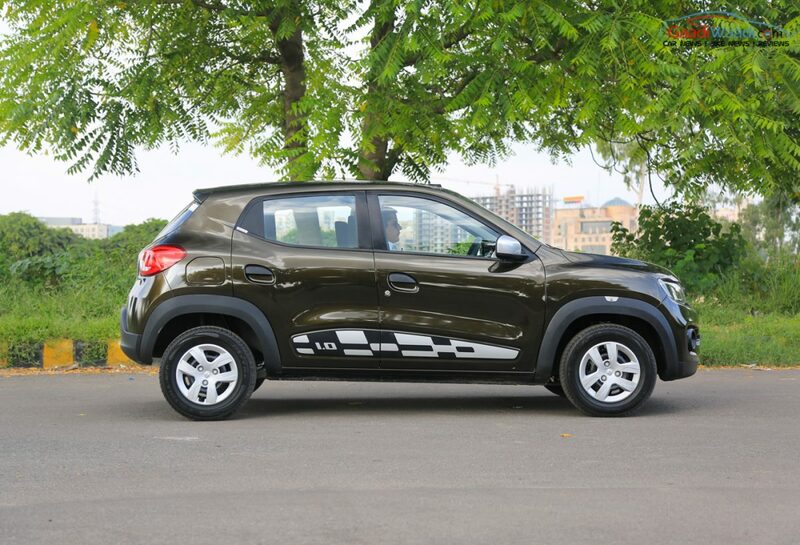 The Kwid 1.0 remained with the same 13-inch set of steel rims as in the 799cc variant but customers can choose for the alloy wheel option sold on accessory list. The rear section is also a visual enhancer as the modern styling has been replicated there as well. 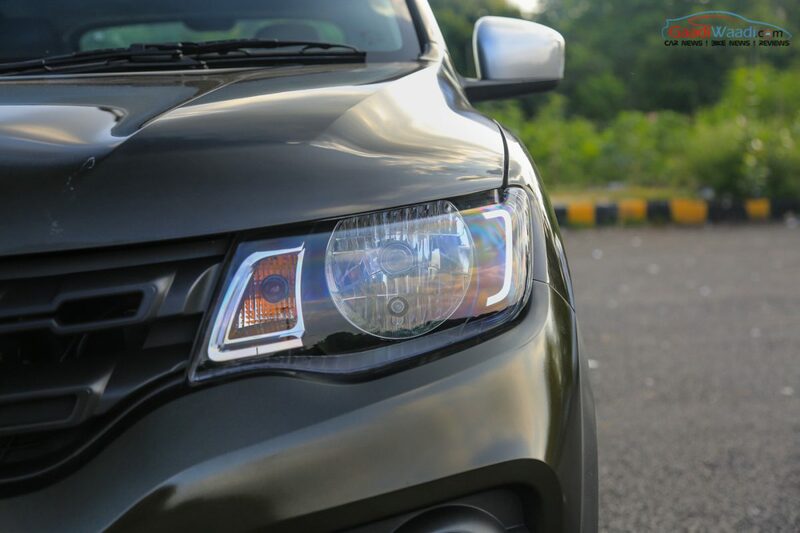 The youthful wraparound taillights comes adorned with integrated roof mounted spoiler and a rather aggressive rear bumper emphasising the prettiness of the highly desirable hatchback. 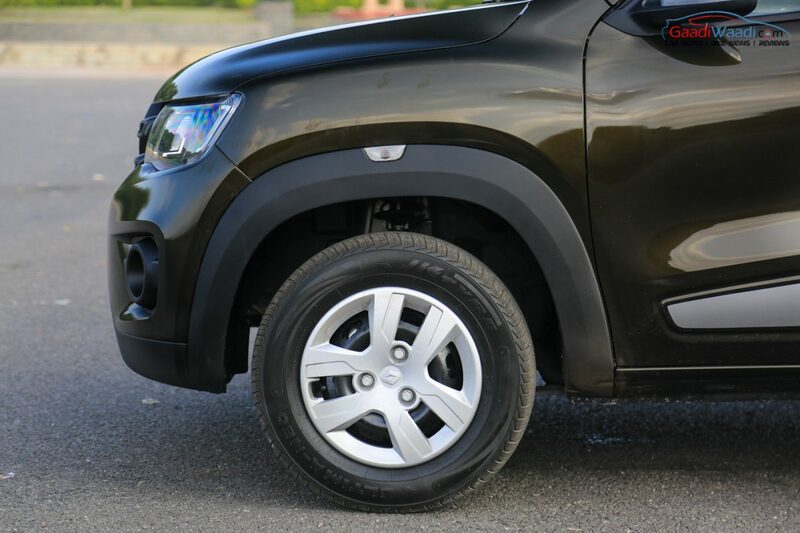 A few niggles we have always encountered with the Kwid are the unavailability of fatter tyres and a conservative side profile. 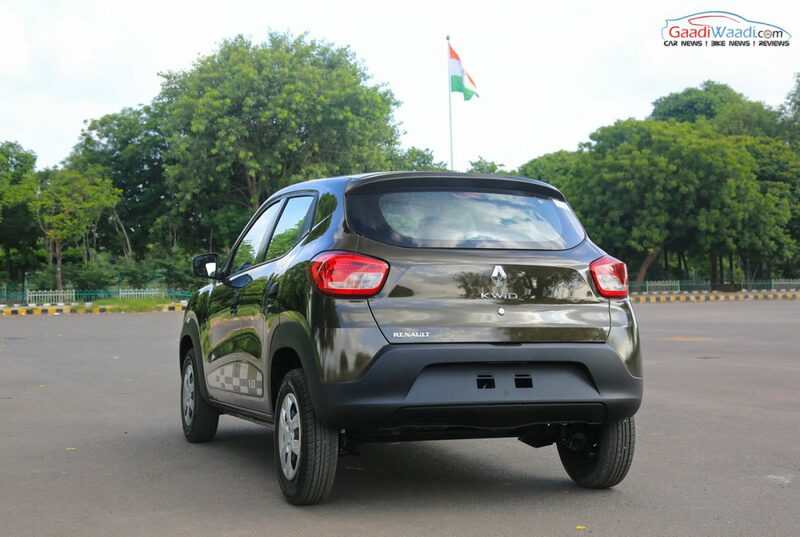 With that said, as an overall package the Kwid gets our nod as the best looking hatchback in the entry-level segment over the Maruti Suzuki Alto and Hyundai Eon. 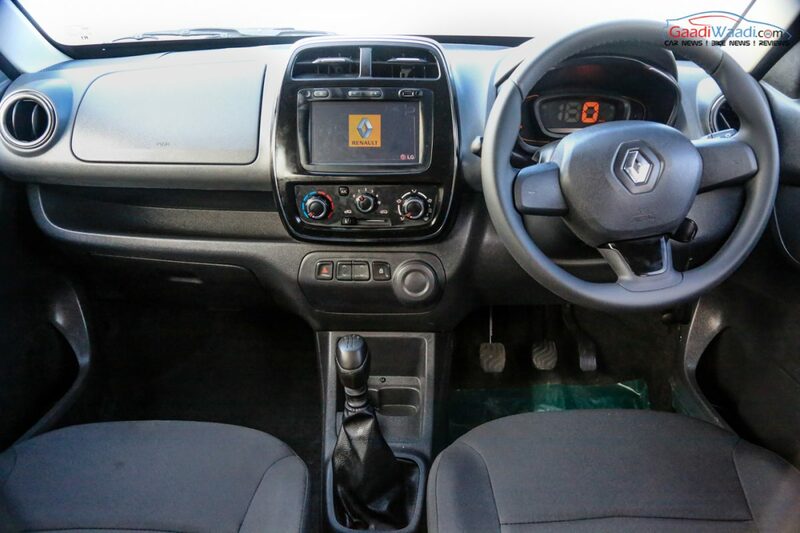 With large similarities to the 0.8-litre iteration, the 1,000 cc Kwid stays put with the same interior. 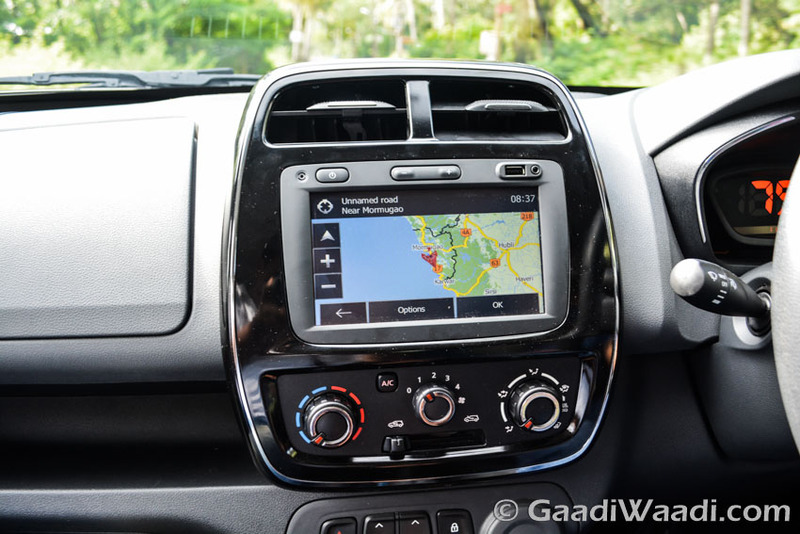 It has been made available with, as we have already seen, compact and stylish functionalities and is the hands-down premium layout the segment has managed to offer so far. 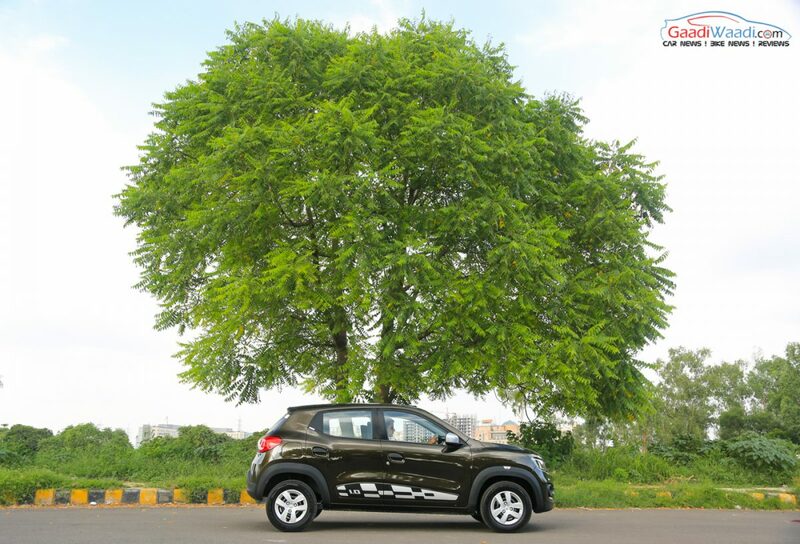 Spaciousness is a term synonymous with Indian buyers and Kwid’s engineers put a huge thought process to come out with the best result. 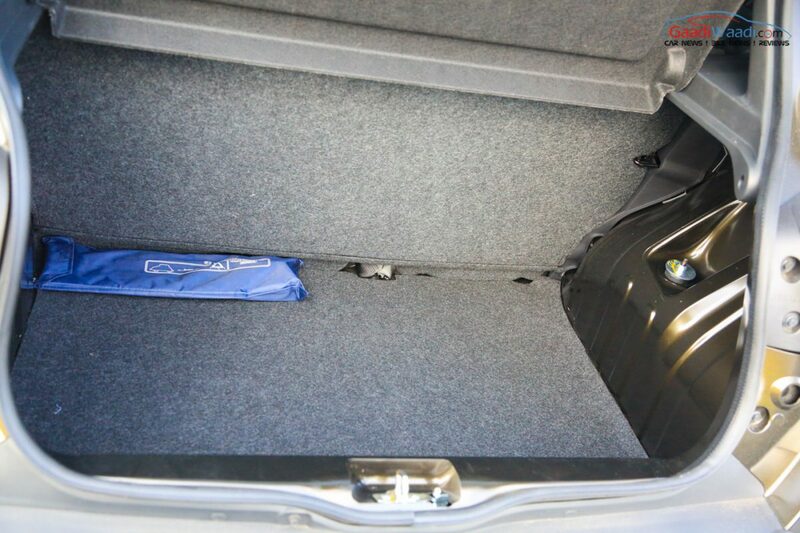 The dual gloveboxes and several cabin storage spaces step up the practicality as well alongside the highly usable 300 litres of trunk capacity. As for the dashboard, the touchscreen infotainment system and digital speedometer catapult the premium appeal of the budget hatchback. As the 1.0-litre variant is made available only in the top-spec RxT trim, customers can actually enjoy the added list of features provided. 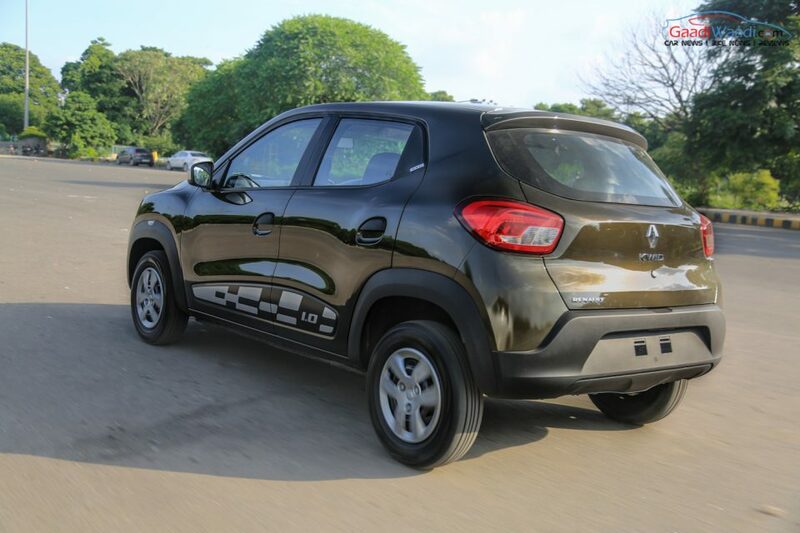 Perhaps we would have liked the Kwid 1.0L to be stuffed with safety features as seen on the Brazilian-spec model but the only optional safety bit is the driver side airbag disappointingly. The main focus of the entire review turns towards the new powertrain now as it is the biggest difference maker. The 999cc three-cylinder petrol engine puts our a maximum power output of 68 bhp at 5,500 rpm and a peak torque of 91 Nm at 4,250 rpm. The other trims with 799cc engine makes 54 bhp and 72 Nm so it’s a significant power and torque boost over the rest. 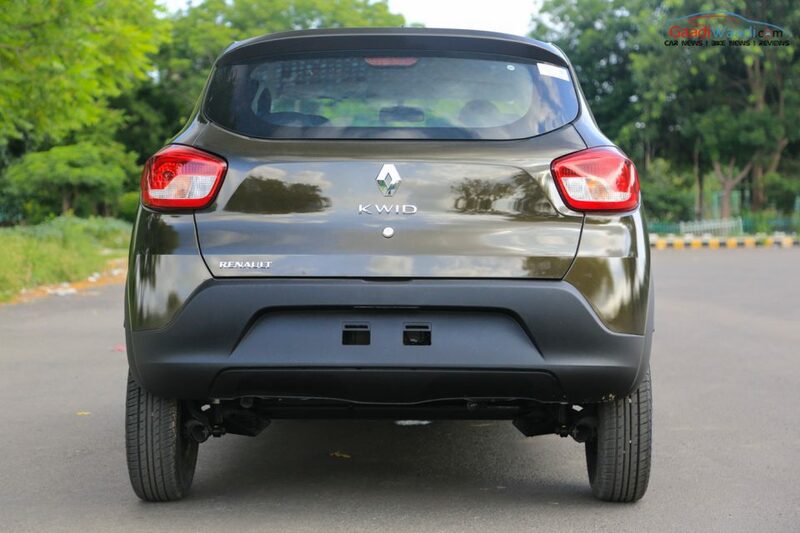 Due to the bigger engine, the kerb weight has increased by 40 kilos as it now stands at 700 kg. 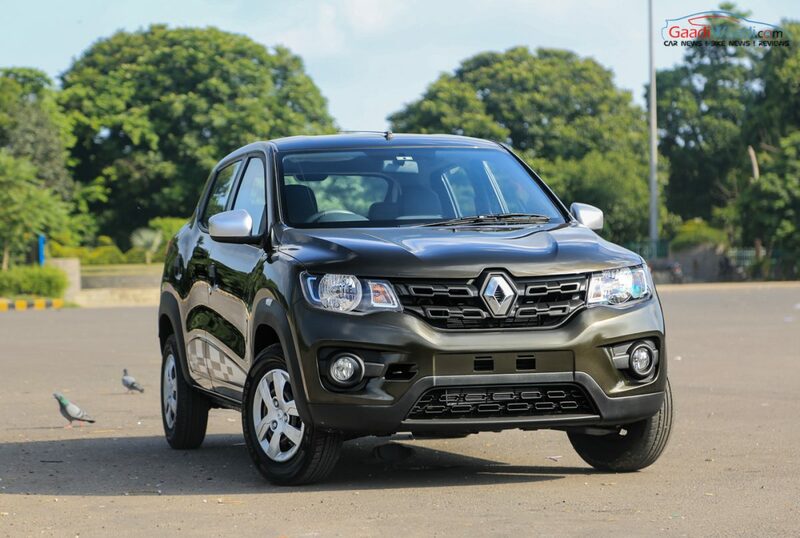 This has enabled, however, the highest power-to-weight ratio in its segment at 97 bhp per ton. 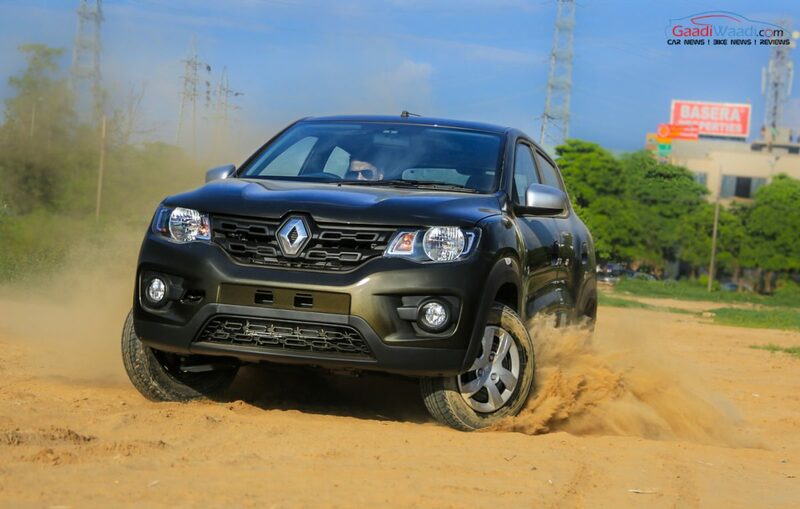 When you drive off, it is obvious to feel the power hike as it gets going with more eagerness off the mark. 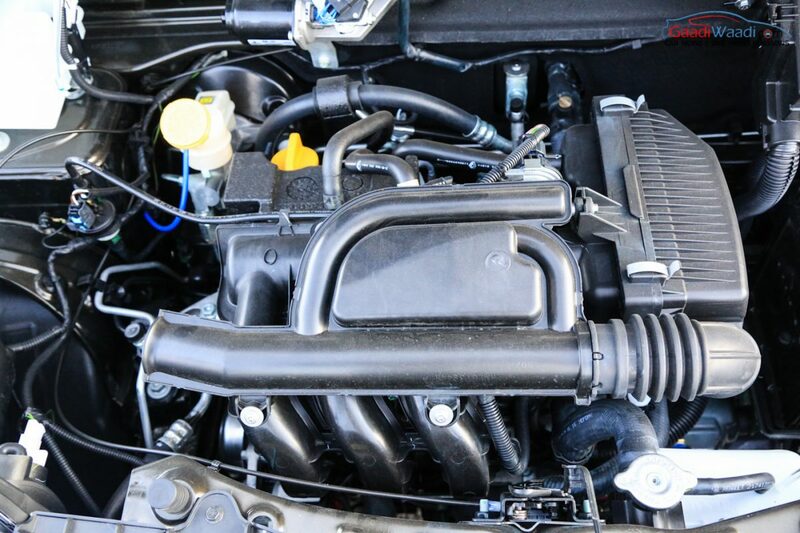 Of immense help in manoeuvring through traffic, the new engine’s power and torque aid for impressive highway stability. The claimed efficiency is marked at 23.01 kmpl which is lesser than the 0.8L motor but still stands at good stead. 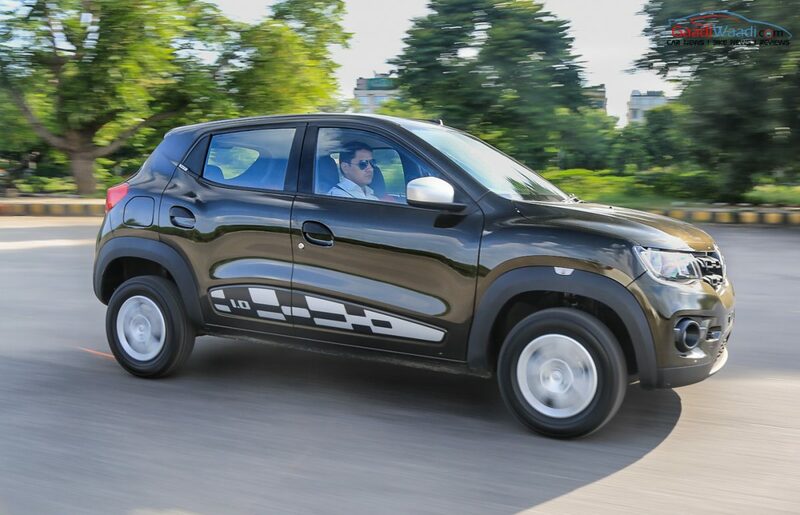 The carried forward five-speed transmission doesn’t fail to do its duty but a Celerio-targetting Easy-R AMT will only be available towards the end of this year with launch expected in festive season. With the larger engine, Renault was expected to make changes to the suspension setup to accommodate more power and torque but nothing of that sort seemed to have gone on in extensive development phase. As the mechanical parts are directly taken from the regular 799 cc sibling, the ride was supposedly expected to remain the same. But it wasn’t the case as the 1.0-litre grabs full marks in quality of the ride. 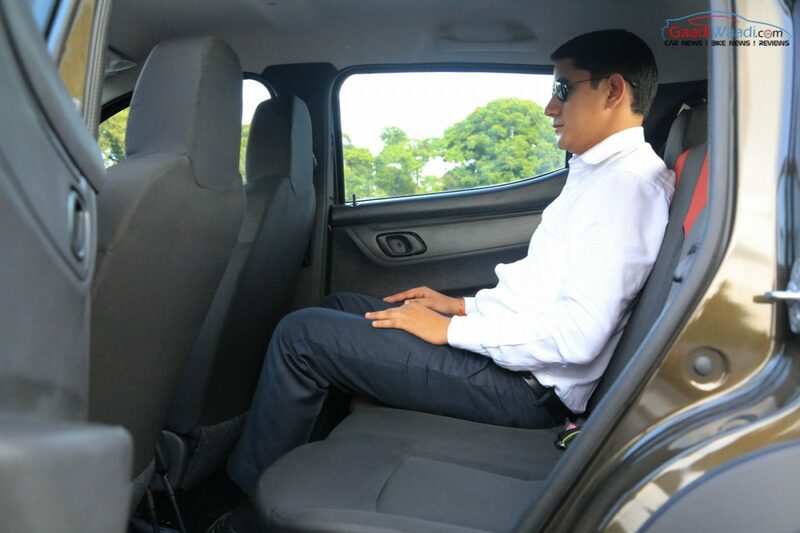 The rear occupants will give positive credits to the smoother ride while the suspension absorbs potholes and undulations as it meant to be with appreciations from driver and the passengers. Summing up our test drive at the end of the day became easy as we stepped out of the car with smile on our faces. 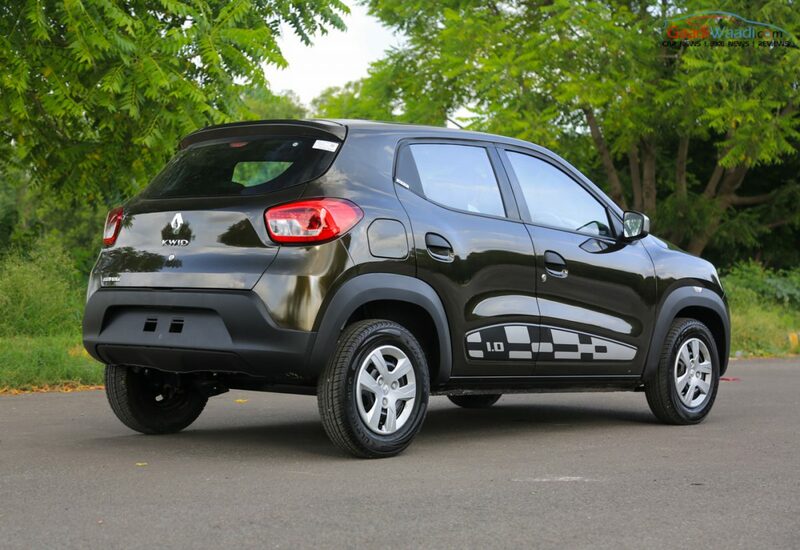 The 1.0-litre Kwid is a desirable blend of SUV-ish outlook brimmed up with the apparent features list. 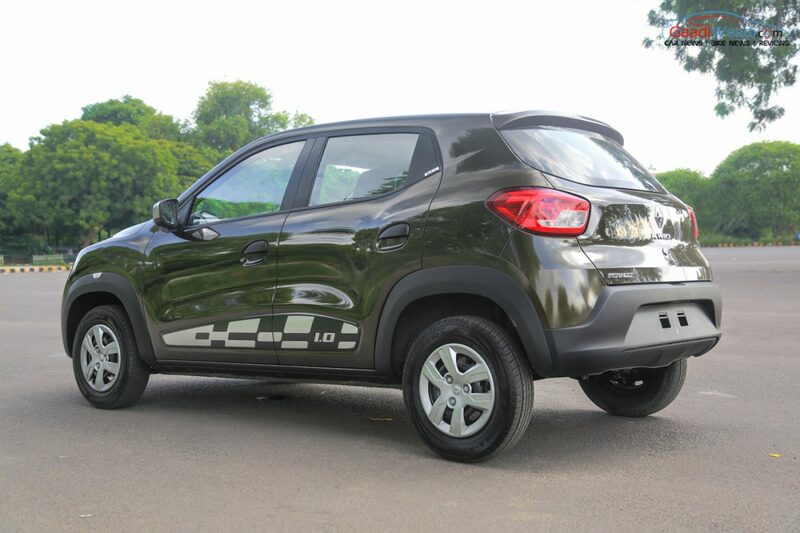 In terms of price, the new Kwid is predicted by us to emulate the levels of volume sales so far managed by the French brand. 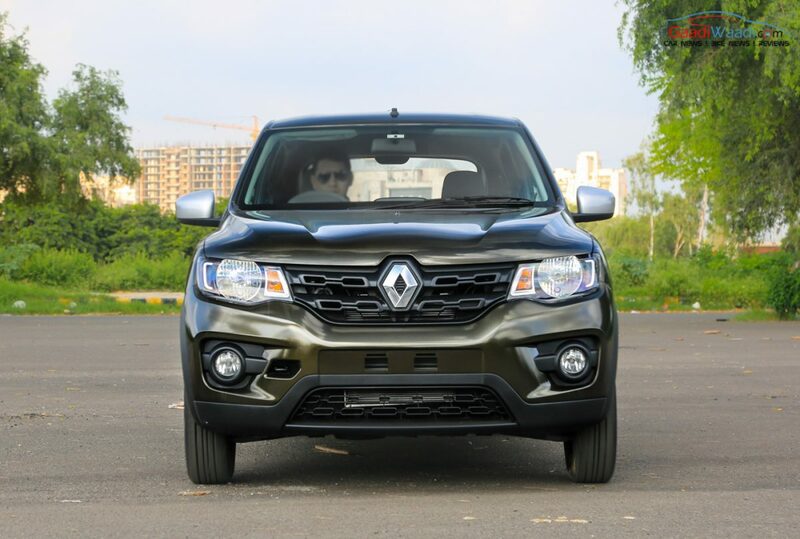 Renault put the speculations to rest with good effect in the 999cc power unit as it is here to stay for the long-haul. The engine with its typical ride and dynamics will captivate audiences in aplenty. However, the safety standards should get better, at least, as optional features for the entry-level car that pretty much excels in all the fields. 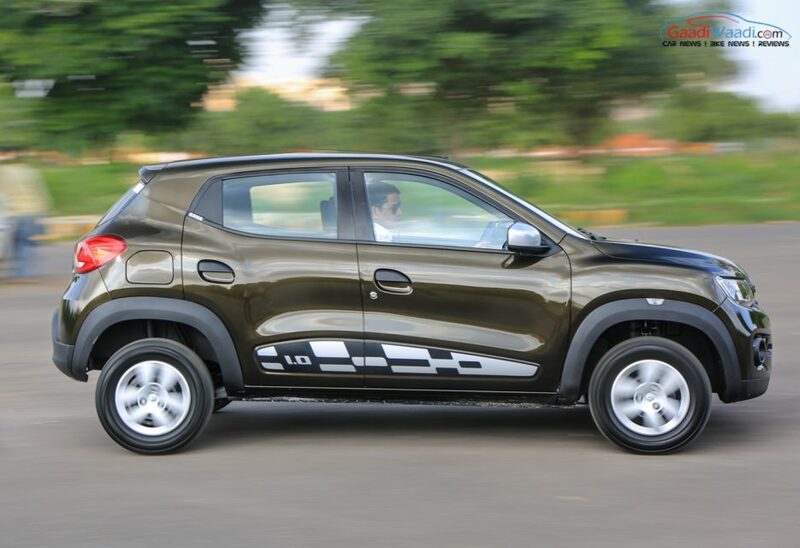 If you were waiting all these months for a decent powered Kwid with patience, your composure has finally been rewarded with the worthy 1.0-litre engine.